As expected, Apple announced a new app called Home, the long-awaited way to control HomeKit at its yearly developer conference, WWDC. 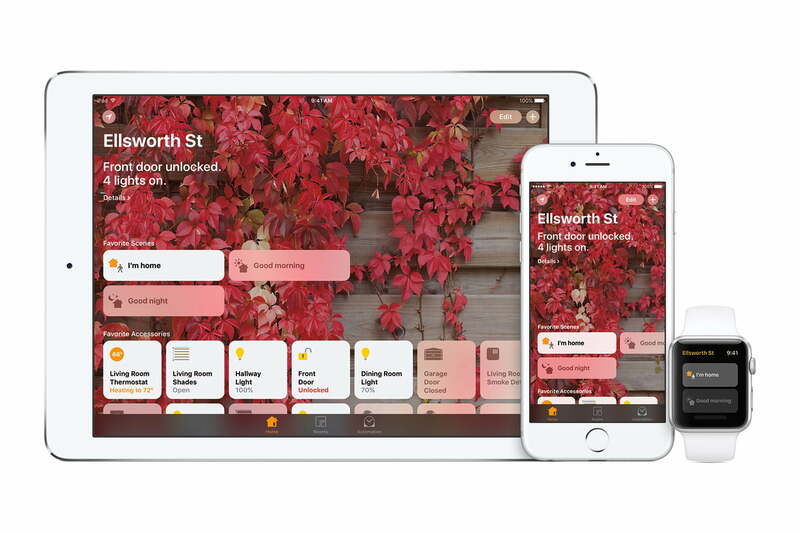 Home will be included with iOS 10 this fall, and the Apple Watch. While manufacturers have been slow to roll out HomeKit-compatible devices, users have still had to rely on separate apps to control their smart locks and thermostats. With Home, you can launch a single app to do things like tap on your lights to turn them on or slide around the dimmer. You’ll also have access to your scenes. For example, click on “goodnight,” and your lights will turn off, the thermostat will turn down, and the door will lock. Siri also understands “goodnight” and “good morning,” so when you say good morning to her, she’ll start waking up your house. In iOS 10, the control center will also give you access to HomeKit. Slide it up and over, and you won’t have to launch the app to turn on the lights. Other cool features include a notification coming in when your doorbell has rung, which lets you see out of your front door’s camera, then unlock the door if your dog walker is waiting on the porch. It sounds like you’ll still need Apple TV to remotely control your home, though. “It can serve as a secure point for remote access and automation,” said Craig Federighi, Apple’s senior vice president of software engineering, at WWDC. Apple didn’t mention anything about the rumored Siri-powered smart home hub meant to compete with Google Home and Amazon Echo. In addition to Siri support, the rumored device would integrate with HomeKit as well as AirPlay, allowing it to function as a standard wireless speaker, according to a report from The Information. Though Siri will soon be on your Mac anyway. Guess we will have to wait for Siri to get its own smart speaker.